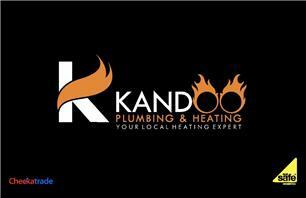 Here at Kandoo Plumbing and Heating, we specialise in all aspects of Plumbing and Heating. With over 13 years of experience in the plumbing and heating industry you can rest assured you're in safe hands. We can help with all of your plumbing and heating needs from leaky taps to installation of a new boiler to blocked drain and so on. Being experts in our field is just one of our exceptional qualities, we also provide excellent friendly and reliable service which you can rely on for many years. Customer satisfaction is our main priority and we aim to provide a service over and above our customers expectations! So if there is anything we Kandoo for you, please contact us. All plumbing jobs including repair and install. Callouts 24/7. 7 days a week available. Thank you for reading my profile page and I hope you give me a call for all your plumbing and heating issues. Although we are based in Ealing we are happy to cover the following areas: Kensington, Chelsea, Fulham, Hampstead, St Johns Wood to name but a few.